Typ Wi-fi aktivního prvku:Acces Pointy, Bridge; Podporované režimy:AP, Repeater; Komunikační pásmo:2,4 GHz, 5 GHz; Podporované standardy:802.11ac. • Extend super-fast Wi-Fi from your router - Enjoy the ultimate combined dual-band speeds of up to 2534Mbps. 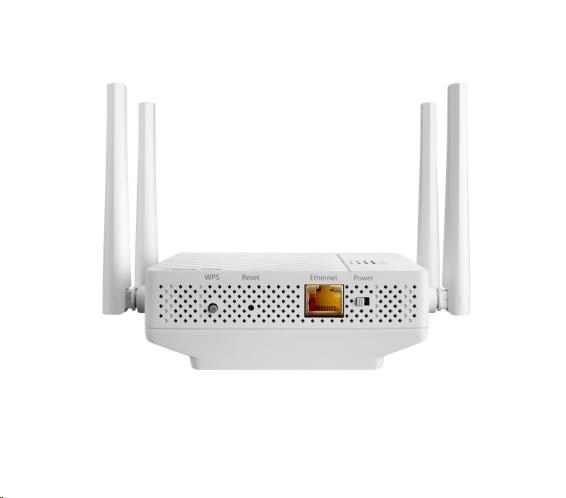 • Improve Wi-Fi coverage throughout your home - Wireless-AC2600 Dual-band repeater with four external antennas for improving fast Wi-Fi coverage. • Easy setup with signal-strength indicator: Find the ideal place for RP-AC87 using the LED signal indicator, and enjoy one-click setup. 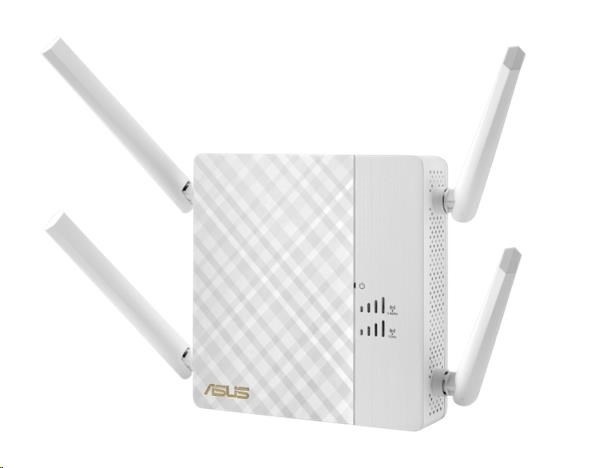 • ASUS extender app - PC-free setup of network, anytime, anywhere. • Rotating mains plug – Flexible positioning in any power socket..